These days when a game hits a year old it's often considered irrelevant, outdated and not worth bothering with. That's not the case with Team Fortress 2 however, a title that was released back in 2007 and is still going strong. When you factor in that TF2 is a first person shooter, that's all the more impressive. For a game that owes its roots not only to Quake, but also to a very early version that was focused on realism and authenticity, Team Fortress 2 is far from what you would expect. Full of colourful characters, buckets of off the wall humour and more hats than you could shake a reasonably sized stick at, it's easily one of the most personality filled titles in living memory. The game debuted when Half Life compilation, The Orange Box, was released in October 2007, and from there it went on to be a huge success with thousands of players religiously settling in to play with their buddies across the globe. As a dedicated multiplayer title, there's really anything here for those of you who like their games to be chock full of storyline and character development. Instead you'll be dropped into a madcap warzone where teams pit it out against each other in a series of different game types to emerge victorious. Players must choose their character from one of nine available. Each one is a member of a different class, which means they've got their own special skills and abilities. For example, some are adept at using long range weapons, while others are handy for building and repairing gun turrets. Isn't there anything better out by now? There have been plenty of brilliant games released since Team Fortress 2 in 2007, but few have managed to survive for as long on the multiplayer scene. This mainly due to some fantastic resource management from developers Valve, who regularly update the game with new additions, both free and premium. 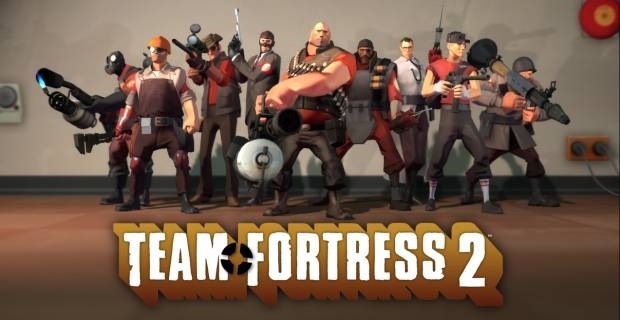 With a vibrant community still enjoying the game in 2011, Valve decided to make it free to play, meaning that anyone can simply download it for the PC and jump right into the action. So if you've never played it, you've got absolutely no excuse any more!